Professor T. N.’Nari’ Narasimhan died on April 29, 2011 after battling lymphoma bravely and nobly for nearly 10 months. A professor of hydrogeology in two Departments and a Senior Staff scientist at Lawrence Berkeley Laboratory, Nari was one of the nation’s foremost hydrogeologists, known particularly for his wide contributions to the understanding of near surface groundwater manifestations and mechanisms and for his dedication to teaching. Born on October 6, 1935, he graduated in geology from the University of Madras in 1956 and immediately began working for the geological survey of India doing systematic groundwater surveys in several regions and finding time to publish papers in well testing. He pursued his Ph.D. at Berkeley working under the renowned professor Paul Witherspoon and honed his skills in mathematics, physics and numerical modeling. He soon became an expert in quantitative modeling of fluid flow in a wide range of geological situations. 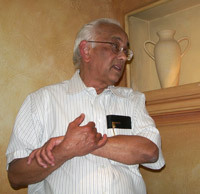 Narasimhan made major contributions to the evaluation and testing of geothermal systems, the numerical modeling of mass and energy transport by fluids in porous media and the study of ore forming weathering processes, the latter with professors Brimhall and Dietrich into Department of Earth and Planetary Sciences. Narasimhan’s remarkable career combined his early thirteen years in field hydrology with over thirty years of highly quantitative analyses and modeling at Lawrence Berkeley Laboratory and in the department of Materials Science and Mineral Engineering. After receiving his Ph.D. in 1975 he worked initially as a research engineer at LBL rising rapidly to Staff Senior Scientist in 1980. Between 1977 and 1982 he was a lecturer in MSME and taught several undergraduate courses in the fundamentals of hydrogeology. This experience really ignited his passion for teaching and his early teaching evaluations attested in his prowess in this area. On the basis of his outstanding research and superb teaching record the Department unanimously recommended his appointment as Professor in Residence in 1982; he was appointed full Professor in 1990 and at the same time took a joint appointment as a Professor in the College of Natural Resources. In the evolution of Nari’s research publications and course offerings, one can see an admirable progression from fundamental quantitative studies of the mechanisms of fluid flow and mass transport in earth materials to a profound overall view and grasp of the role of groundwater in an economic and strategic social sense. From a core undergraduate course like ‘Introduction to fluid flow in soils and rocks’ or the graduate course ‘Field methods for characterization of subsurface fluid flow in soil and rock’, Nari introduced new, broader, courses beginning with freshman seminars like ‘California’s water: Earth, Environment, Ecology, Economics’ and the ESPN course ‘Water in the Terrestrial Environment’, a course designed for students in the College of Natural Resources to equip them with basic hydrogeology before they began specializing in ecology, environment, economics and resource development and policy. In 1997 Nari introduced a seminar on ‘Diffusion: History, Physics Mathematics’ that outlined the role of the physical mechanisms of diffusion across many disciplines in the physical sciences. The first seminar was very well received and it became a regular graduate course in 1998. A single student comment well summarizes the student enthusiasm for the course “One of the most interesting courses I’ve taken”. Nari’s teaching appealed to students in many disciplines and since the year 2000 most of his courses were offered across department lines. 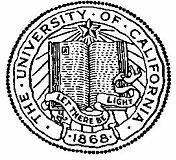 ‘Water in the Terrestrial Environment was listed in the ESPN and Geography catalogs and ‘Californians and water’ was college-wide Letters and Science course 119. The courses in hydrogeology fundamentals were cross-listed with Civil Engineering. The broad range of topics and applications covered in these courses led to the development of comprehensive sets of class notes in the absence of appropriate textbooks. Professor Narasimhan published over 90 papers in peer-reviewed journals, wrote chapters in more than six books, organized and chaired national and international conferences and was generally recognized as a world leader in hydrogeology. He will long be remembered for his work in synthesizing ideas from diverse disciplines and exporting the conceptual mathematical foundations of flow and transport to general hydrogeologic systems. His classic paper ‘Hydraulic Characterization of Aquifers, Reservoir Rocks and Soils: a History of Ideas’, is a wonderful example of a synthesis of ideas from the fields of groundwater hydrology, civil engineering, petroleum engineering, soil science and geophysics. He will also be remembered for his warm personality, wit and dedication to the students who worked with him. Nari was an exemplary scientist, engineer, scholar and teacher. Professor Narasimhan is survived by his wife Vijayalakshmi (Vijaya) to whom he was married for over 48 years and his son, Ravi.